Today is World Water Day, and to mark the occasion I'm joining promotion on the release of the latest Story of Stuff Project short film. Like The Story of Stuff, this new film uses simple words and images to explain a complex problem, in this case manufactured demand: how you get people to think they need to spend money on something they don't actually need or already have. Over the last two decades, Coca-Cola, Pepsi, Nestle and other big beverage companies have spent untold millions of dollars making us afraid of tap water. They've told us that if we want to be sure what we drink is pure and clean-not to mention hip and fashionable-we should buy bottled water. 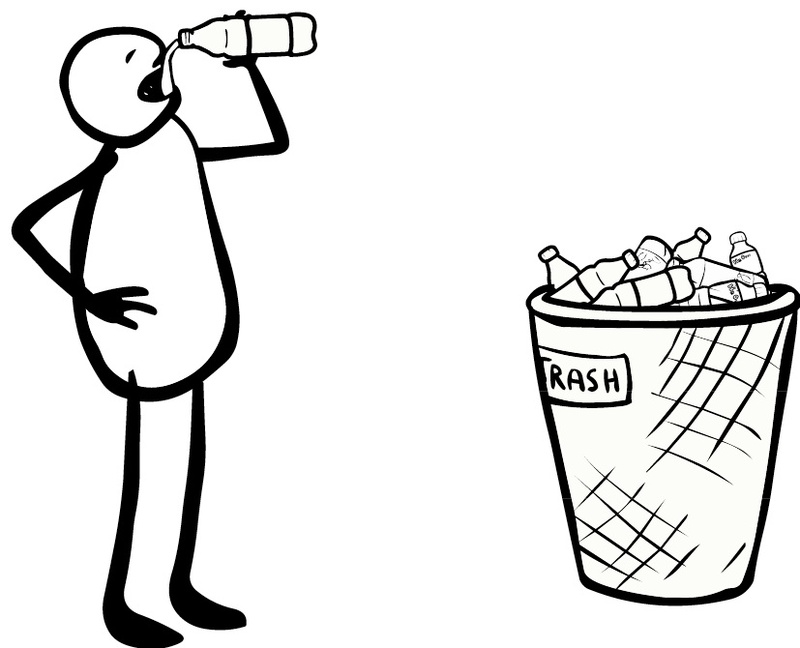 In the United States alone, we consume approximately 500,000,000 bottles of water each week. Imagine that: while 1 billion people lack access to safe drinking water worldwide, other people spend billions of dollars on a bottled product that's no cleaner, harms people and the environment and costs up to 2,000 times the price of tap water. But there's good news: Last year, for the first time in a long time, bottled water sales fell-not that much, but they went down. Consumers who want economy, portability and convenience are switching to refillable metal bottles.Restaurants are proudly serving tap water. And cities, states, companies and schools around the world are ditching the bottle to save money and do their part for the environment. Still, we've got a ways to go.